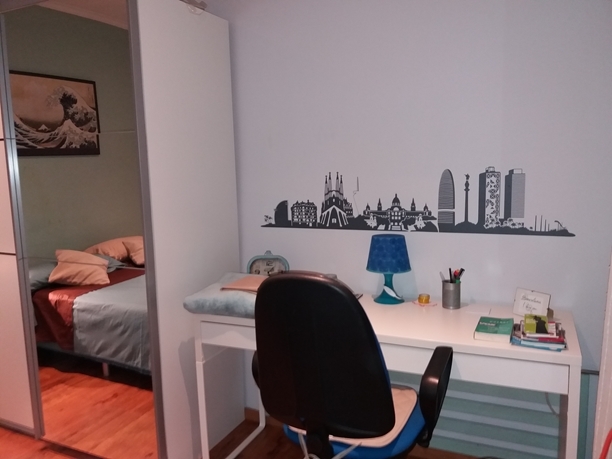 Bright and quiet 10 sqm bedroom with a double bed and big wardrobe. 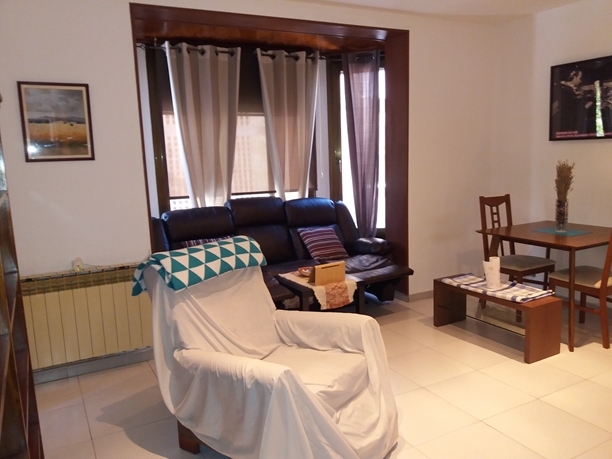 The room is in a lovely apartment of 100 sqm and is located on the second floor of this old building is a really good state. 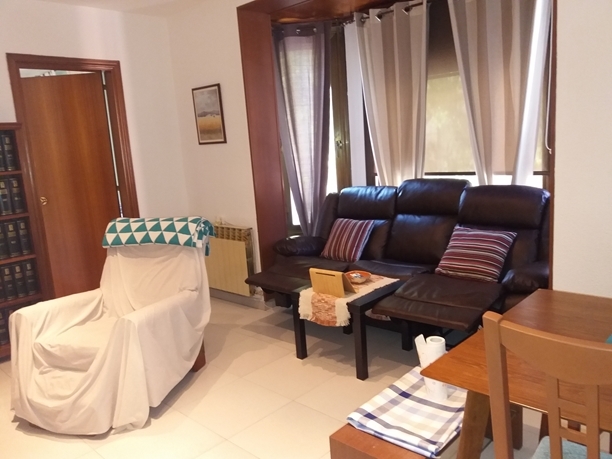 The living room of 25 sqm big has to be shared with the other tenants.There are 2 bathrooms and a nice fully furnished kitchen. 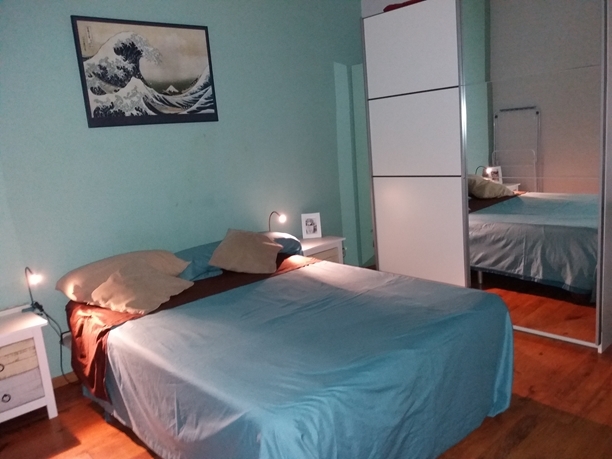 The whole apartment is nicely furnished and has 3 other single bedrooms. 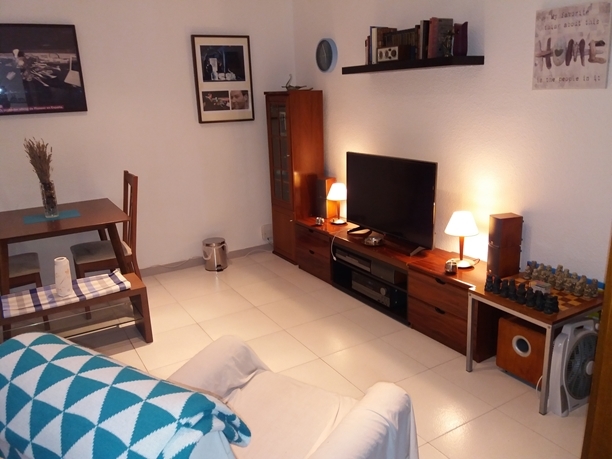 The kitchen is 15 sqm and fully equipped, and have to be shared with a 47 year old spanish men who works in the sound industry and speaks english. Pets are allowed. The other tenants are usually all students. Heating, Washing Machine, Microwave, Fridge, Coffee Machine, Iron, Oven, TV, INTERNET/WIFI. 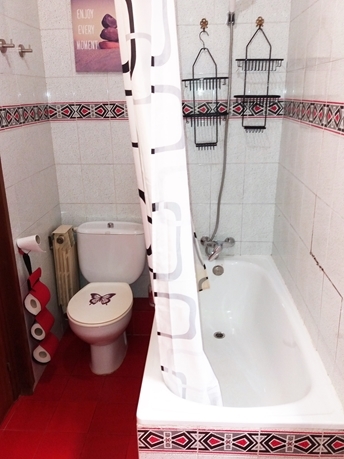 Bed sheets and towels are available. 2 min walk to the supermarket. 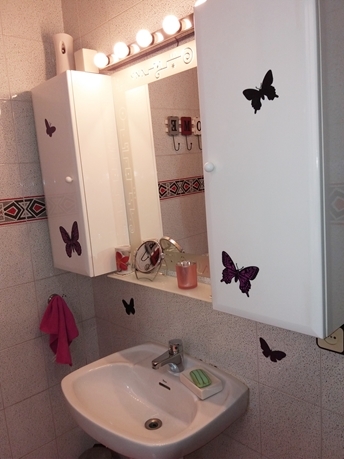 1-2 Pers/Month (with private bathroom) : 420 EUR. Agency fees and deposit of 200 EUR not Incl. Please check the calendar for vacancies. The reservation can be made by using the enquiry form above. The agency fee has to be paid in advance. The rent has to be paid on arrival at the apartment when you receive the keys. A copy of your passport is requested by the owner of the flat. Metro L4, L5 ; station “MARAGALL” From the Airport : Take the blue Aerobus A1 from the airport to “Plaza Catalunya”. Change to metro line L4 and stop at the station “MARAGALL”. You are less than 1 min away by walk from the apartment. From train station Sants : Take the metro line L5 and stop at the station “MARAGALL”. You are 1 min away by walk from the apartment.